This year, I wanted to celebrate my birthday in a way that I’d never forget – In a trailer park…. With amazing wine. The Vintages Trailer Resort was my answer. 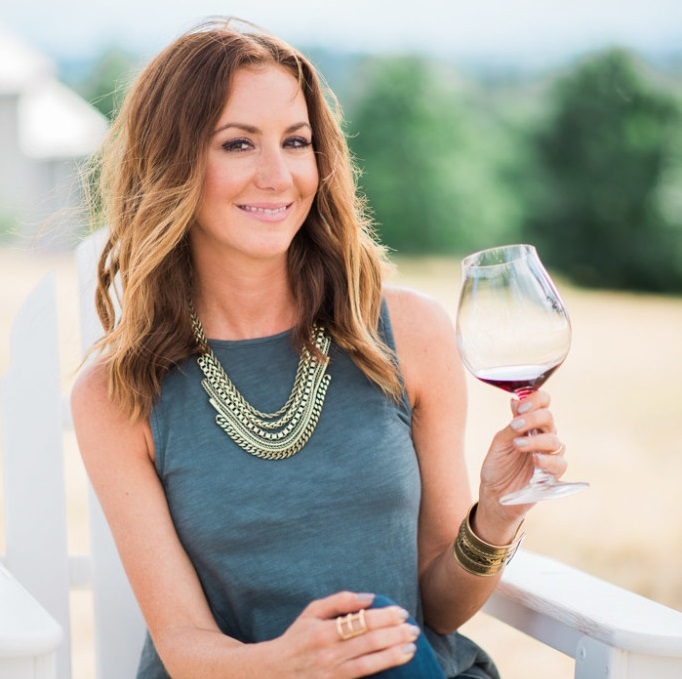 I’d been hearing a lot recently about The Vintages Trailer Resort – Located midway between McMinnville and Dundee, Oregon, and within five miles of some of the Willamette Valley’s top wineries. On this trip, we made stops at some of our favorites: Lange Estate, Alexana, Sokol Blosser and Argyle. 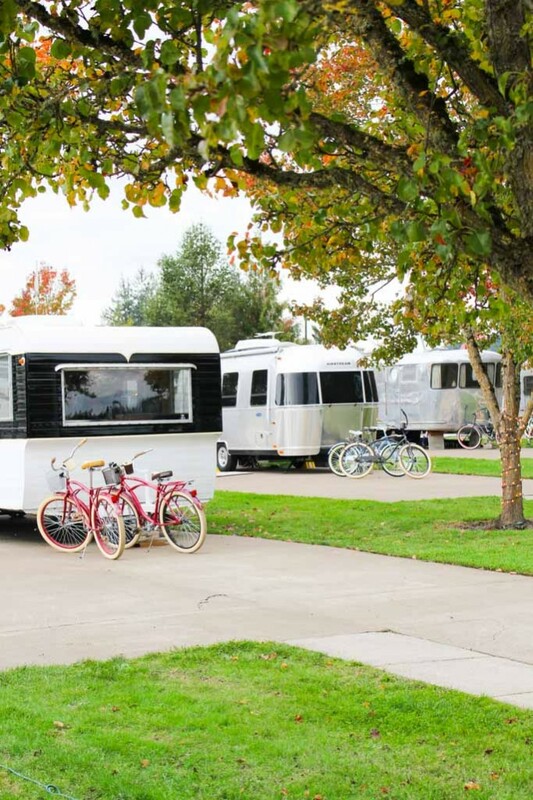 Opened in July, 2014, The Vintages Trailer Resort in Oregon’s wine country has 16 retro trailers, all with vineyard views, and the comforts and coziness of a hotel. We walked in our trailer and I couldn’t help but smile. 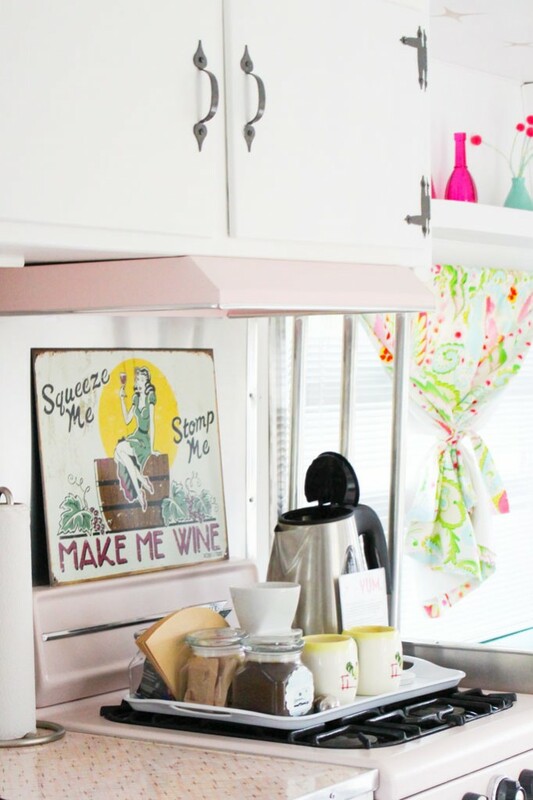 Our 1958 Ideal Trailer came furnished with it’s original pink appliances and matching retro counter tops. Even the shower in the bathroom carried over that pastel pink theme. PLUS, it’s own portable indoor fireplace – Perfect for chilly fall nights! Our friends Jenny and Kelly and their two kids came along too. They stayed in a trailer across the way. The kids absolutely LOVED it ⬇⬇⬇. Can you tell?! This will definitely be an experience that I’ll always remember. We are already planning our next visit and can’t wait to go back! Actually, I want to go back again and again, just so I can check out every one of the trailers. They’re each totally unique and decorated in their own special way. Check them out here. 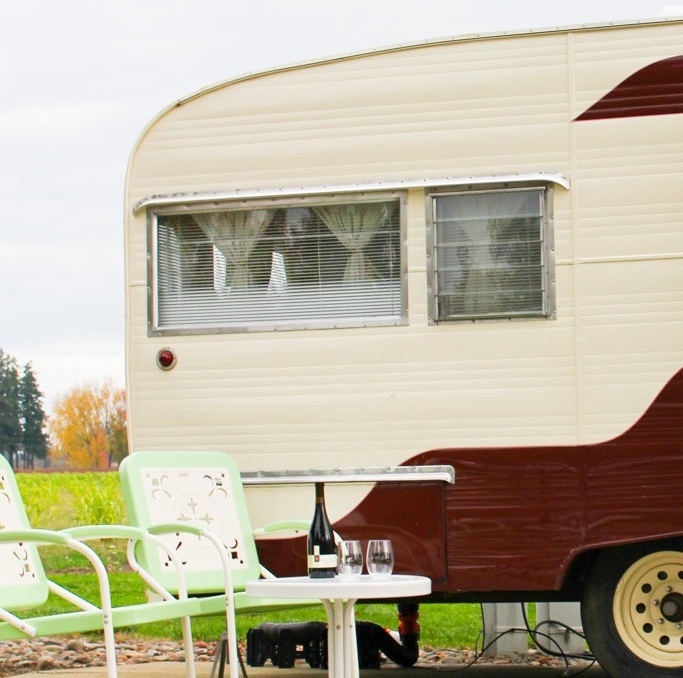 The Vintages Trailer Resort is located midway between McMinnville and Dundee, Oregon, in the heart of the Willamette Valley Wine Country. Prices start at $92/night. For reservations, go to the-vintages.com. For information about visiting Willamette Valley, go to oregonwinecountry.org. 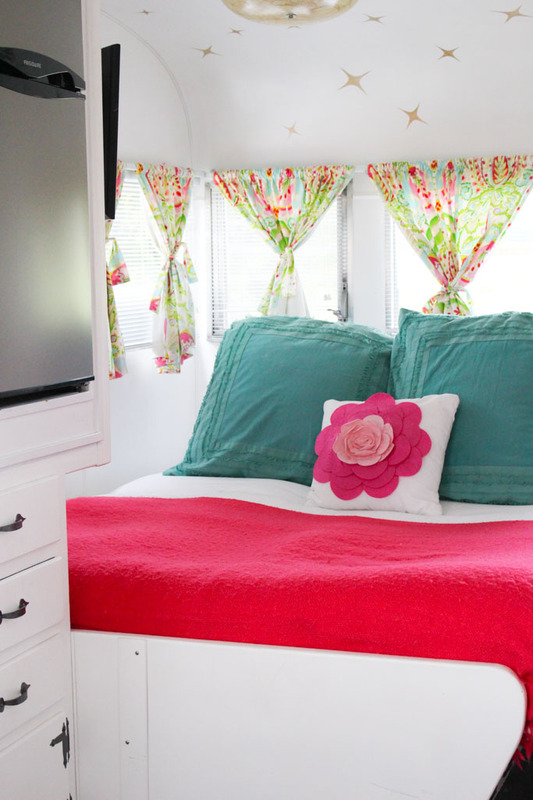 The Vintages Trailer Resort provided us with a free one night’s stay in their beautifully renovated 1958 Ideal trailer. As always, all opinions are my own. What a cool place!!!! I’ve never heard of it but of course it exists around Portland. 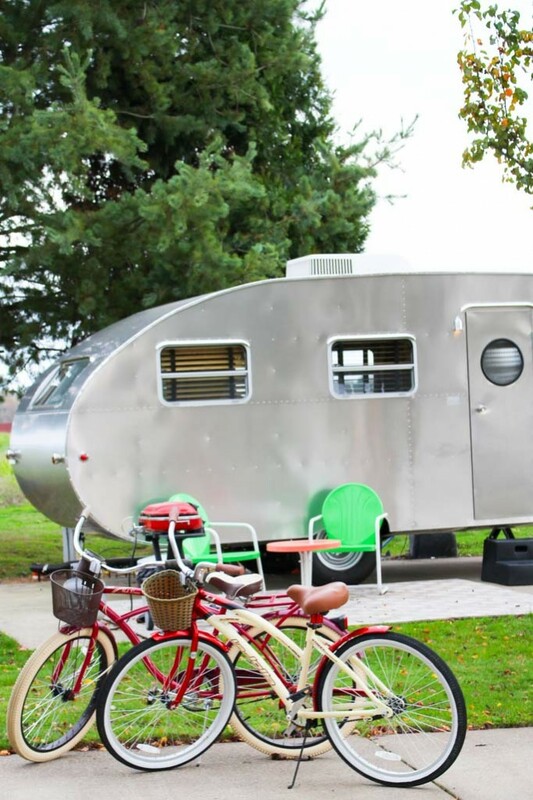 =) I bet it would be so fun to stay in a trailer! It really was a lot of fun! The kids really loved it too! So Portland! I love the pictures with the bikes hanging out in front. Sounds like an awesome trip! We had a GREAT time Ali! This is amazing!! 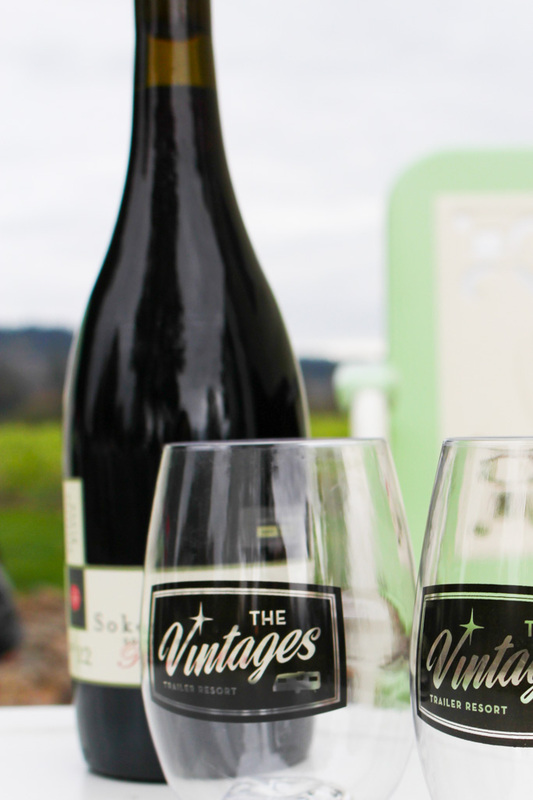 I’d never heard of it but what a fun stay cation getaway to wine country it offers, definitely going on my list of mini vacation ideas! It’s one of the few times instead of a room just being for sleeping after being out we might want to just stay in for a while and enjoy as a destination itself! It really is such a fun spot Pech! I can’t wait to go back when the weather is warmer, so that we can enjoy more of the vineyard views and BBQ outside! This is AMAZING and looks so fun. Happy Belated birthday! 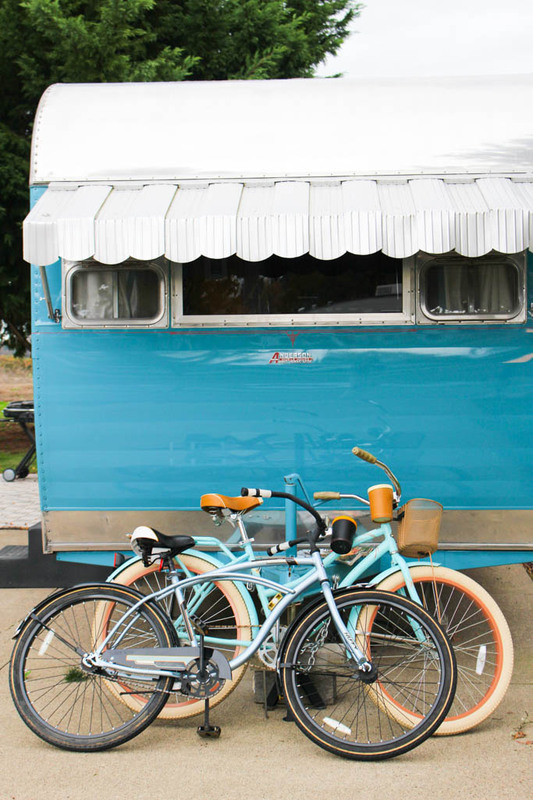 I would love to go check out these vintage trailers. How ADORABLE and so much fun! I’ll have to add this to future girls’ weekend trip lists. Happy belated birthday! The Vintages is totally appropriate for a girls’ weekend Marlynn – Such a fun time! And… Wine! Dang, that is CUTE. And affordable, too, by city standards. It’s going on the list! Totally an affordable option Kelley! I hope you are able to visit – It’s SO fun! What a neat idea! 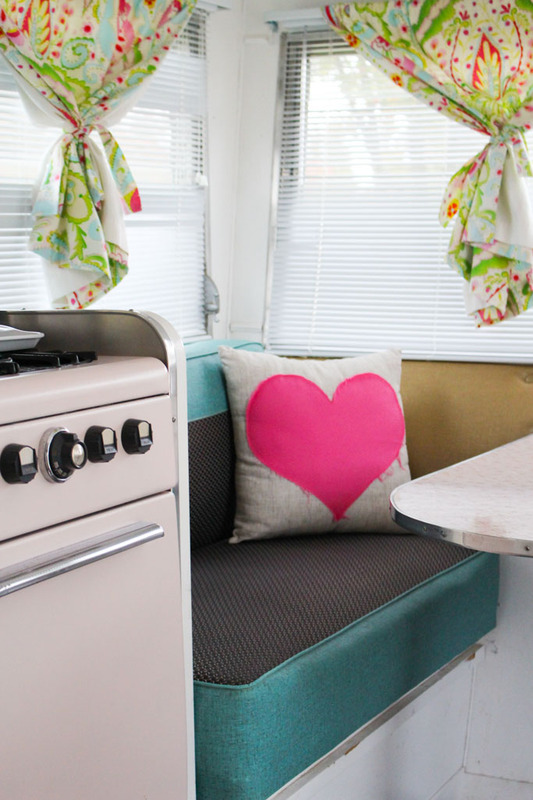 I’m not sure that camping (even in a trailer) is my thing lol but it sounds like a cool experience – the vintage appliances are a nice touch! Visiting those wineries sounds amazing. It was SUCH a fun trip Natasha – We can’t wait to do it again!! !